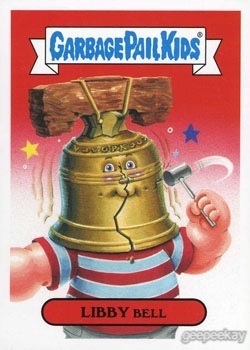 Like most people who visit GEEPEEKAY.com, Mark Pingitore is a child of the 80s who loves a number of other toylines that came out of that decade...He-Man, Transformers, G.I. Joe, Teenage Mutant Ninja Turtles, etc. 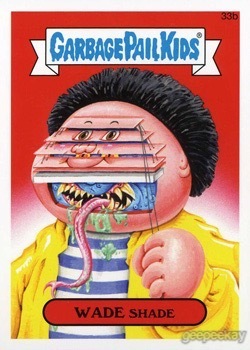 However, UNLIKE most people who visit this page, Mark is an incredibly talented artist who is able to combine Garbage Pail Kids with these other popular toylines and create fantastic mash-up images. 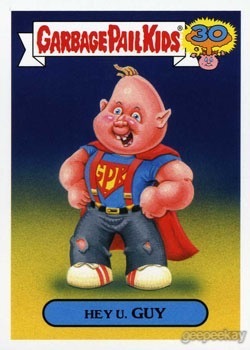 Below are a few of the more popular Garbage Pail Kids characters Mark painted for Topps. 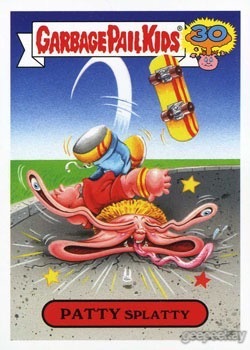 And this is just a sample, as Mark painted hundreds of characters over the 10 years working on official GPK releases! 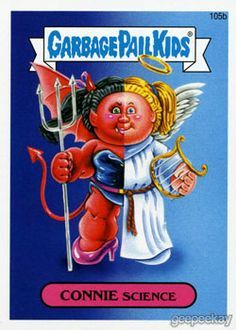 After working for Topps as an official Garbage Pail Kids artist since All New Series 5 in 2006, Mark decided to break free from the constraints of having to submit his ideas and concepts for approval, and instead ventured out on his own and created sets made directly for the fans. The results are fantastic...from He-Man parodies, to Horror Movie parodies, to G.I. Joe, and many more...collectors can't get enough, and it looks like Mark won't be slowing down any time soon! This section is broken down into multiple gallery pages to help collectors browse through the amazing amount of Mark's awesome work. In addition to the fantastic artwork, one should really pay attention to all the detail he puts into his work. 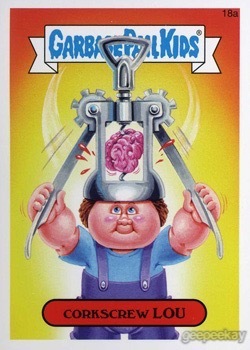 From the beloved 'PEEL HERE' arrows, to the unique headers and namebars, to the fantasticly-creative die-cut shapes...these series stand out as THE Garbage Pail Kids parody sets to own. 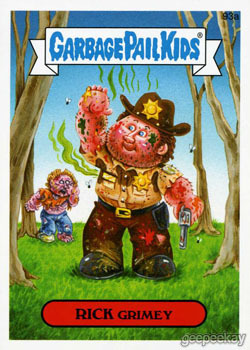 Use the 'QUICKLINKS' to browse through the different parody series created by Magic Marker Art! INSTAGRAM: click here to follow along! FACEBOOK: click here to follow along! MAGIC MARKER ART STORE: click here to buy stuff!